The campsites in Helen GA come with areas for your fireplace, but most of the time, you need to provide your own wood, matches, and kindling. You can bring your own firewood or purchase firewood on your way. Make sure to bring enough wood for as many fires as you think you will want to light during your stay. Do you want a fire going most of the time or just in the evenings? You may also consider packing a small hatchet to make your own kindling. When you visit Helen GA campgrounds, a roaring campfire invites all kinds of fun and games for families, groups of friends, or couples. The fire is good, but don’t forget to pack up the board games for a family night of fun. For a quieter evening, make sure you brought your favorite novel, album or movie. Snacks make the perfect accompaniment to a cold winter’s day or evening of campfire activities. 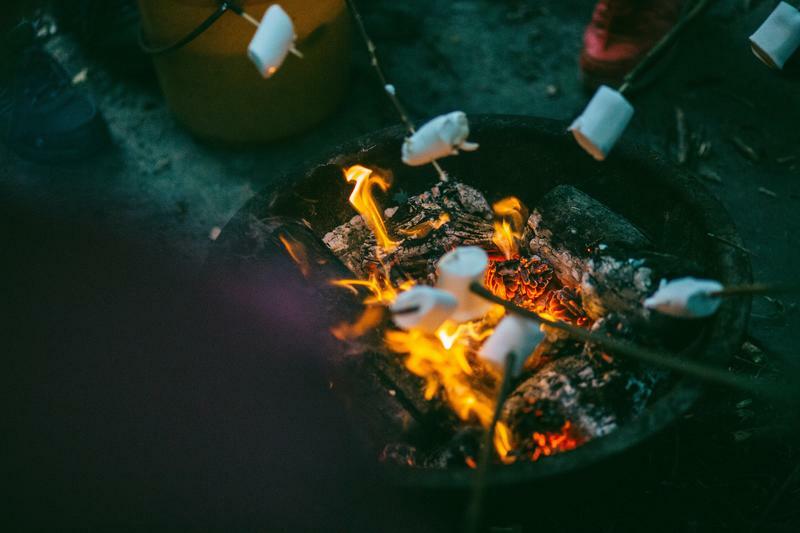 Bring popcorn, cocoa, or your own s'mores kit and take advantage of the opportunity to cook over an open fire in your campsite in Helen GA. For a more romantic evening, pour a glass of that fine wine you purchased from your trips around the local wineries during the day. Campfires are fun, romantic and festive but make sure you remain safe while enjoying your fire. Fully extinguish the fire before going to bed for the evening or leaving your Helen GA campground. Flames spread quickly, so take care to keep your fire small and manageable. Now that you have all the pieces together for a perfect Helen Ga campground campfire, you can sit back and enjoy the toasty warmth and glow. Many folks looking for campsites in Helen GA found the below spots some of the best for Helen GA campgrounds, RV camping, and tent camping. If camping in Helen Ga under the stars or in an RV is not your thing, don’t worry, we have you covered. You can book one of our luxurious cabins in Helen, GA. You can play games or pool, grill out, or sit outside under the stars in a private hot tub. Some of our cabins even have walk-in spas. 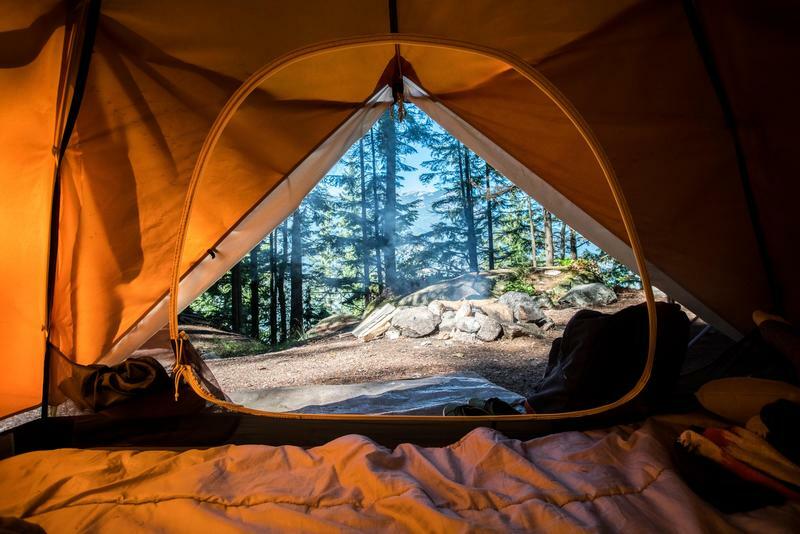 What are your favorite camping spots? Have you found a gold nugget campground in Helen, GA you want to share with others? We’d love you to share in the comments section below!